Branding Value Now Brand Strategy,Branded Adventures,Conscious Thoughts is investing in brand names a strategy or a risk? is investing in brand names a strategy or a risk? 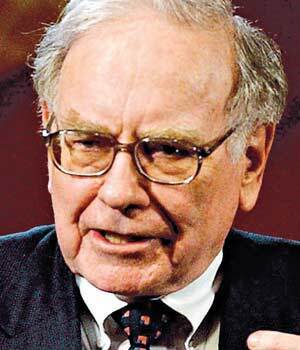 While other billionaires bet their last shirt in new tech start-ups, while other billionaires finance a diversification of the several branches composing their corporation, Buffett as his “consort” Murdoch in the financial sphere privileges risk-free investments by targeting only strong value products, brand name companies. In his voluminous portfolio, Buffet already acquired shares from companies that resonate loyalty in the collective unconsciousness, Coca-Cola, Kraft Foods, Johnson & Johnson count among his jewels. In that same logic, optic he just merged successfully with Mars-Wrigley by biting a portion of shares equivalent to $6.5 billion. Does it correspond to a personal choice or does it reveal the tendency of the market (frigid), where investors prefer brands’ stability versus non-established risky companies? Behind the quality branded, marketed by well-named companies, we often forget that their big advertising, marketing, distributing machines, structures are hidden to support their products. More and more the same companies take refuge in messages such as “years of experience, established since…” to awaken our purchasing behavior mode. Most of the time, we trust the image of confidence they market. Behind the Coke product subsists in our conscious the old formula quality product but as we look more carefully at the product ingredients, we can’t help but ask, what makes this product a quality product besides our former relationship with the product? Investors’ main concern remain in the “happy” returns of their investments! Isnt’ it incentive to invest in a product that guaranty you to be a winner? “Nothing can go wrong…” could be the motto in investing and it definitely joins Buffett’s stream of thought “…look at stocks as business, use the market’s fluctuations to your advantage, and seek a margin of safety”. It definitely translates his value investing philosophy. By investing in brand names, they invest in solidity, in the consistency of their vision of quality and finally in stability. Whatever fluctuation that may experience the market, brand names will survive shouldered by the customers’ loyalty. Nor the price, nor the diminution of the financial power for consumption will affect, alter the blind relationship uniting the consumer to a brand. Another non-negligible advantage in investing in branded names, their propensity to internationalization. Coca-Cola is internationally distributed and marketed, opening the door to another source of profits to be achieved. The lesson to be learned is no company has a 100% guarantee of profitable returns in matter of investments, as well as no one can predict the market! Coats with Eastman Kodak, Berkshire Hathaway with US air experienced a traumatic event in their smooth investing history! Both Eastman and US air crashed without involving their original investors in their falls. Brand names as well as small companies are subject to the drop of their value market, it naturally establishes the equilibrium. No one is safe…There’s always a slight risk, fortunately! Investing maybe a strategy but it’s definitely a risk!